Venice has a reputation for being one of the most romantic cities in the world, but also for being dirty and smelly. I can tell you, that we did not experience any nasty smells or dirty moments, but we may have gotten lucky with visiting during the very sunniest of times in the year. Venice is absolutely stunning but in all honesty, we felt like there wasn't much to do physically. However the architecture and the history was enough to keep us there for two days... and of course the food was amazing. Venice is a very big tourist destination, which makes it very expensive. Finding an Airbnb within the main island was a no go so instead we opted to stay just off the island in Mestre, which was only a half an hour bus ride into the main city. From there we walked across every bridge we could find to make our way into the main section where the famous St Mark's Square is. We had heard numerous stories about the astronomical prices in the square so avoided spending anything whilst there. 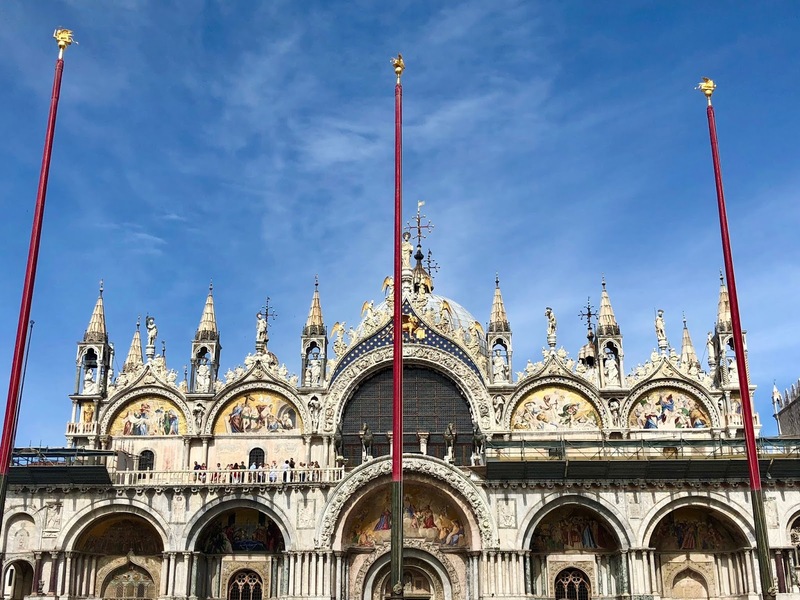 Following a look at the St Marks Basilica we took a few wrong turns and ended up in no mans land, but they do say that the best way to explore Venice is to get lost - and that is exactly what we did, several times actually. 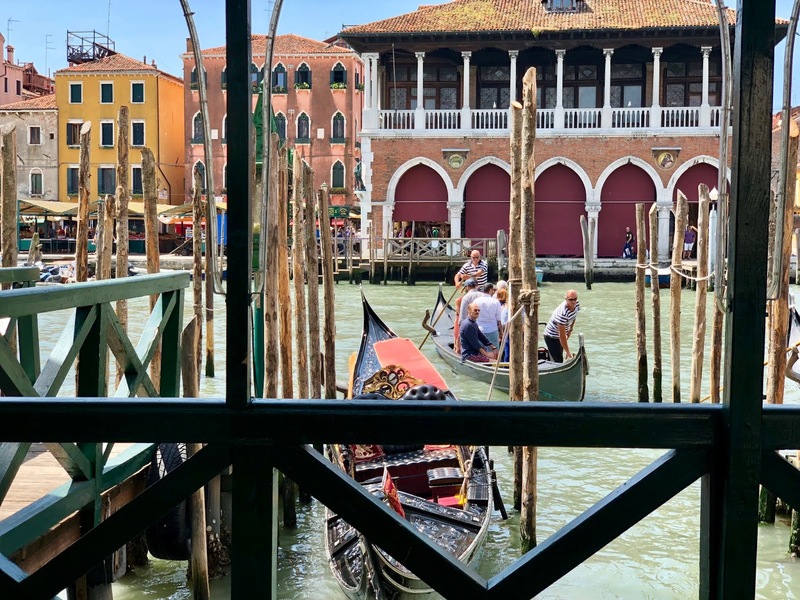 No trip to Venice would be complete without a punt down one of the city’s picturesque waterways in an iconic gondola, which we were very lucky to do with the Hidden Venice Food Tour. 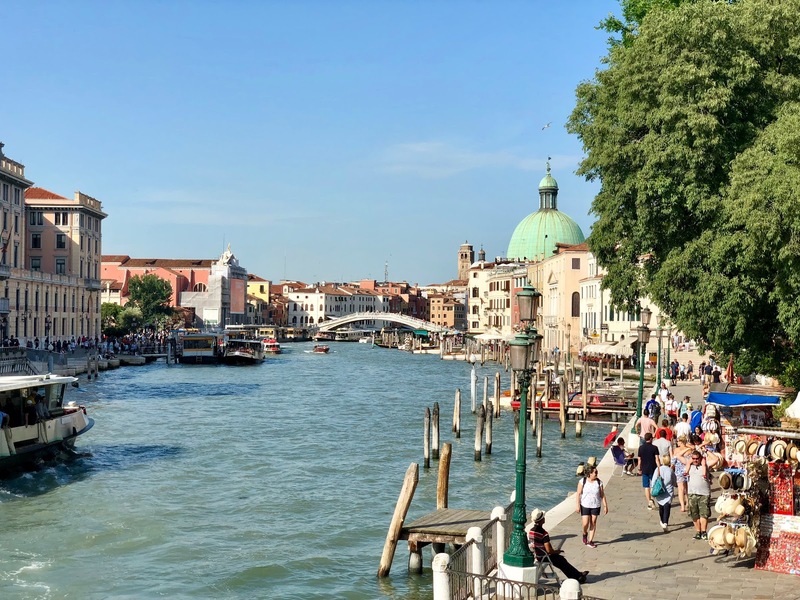 We took a quick ride across the canal to the other side to find more hidden gems and although it was a very short ride, it was great to have the experience that you can only truly have in Venice. 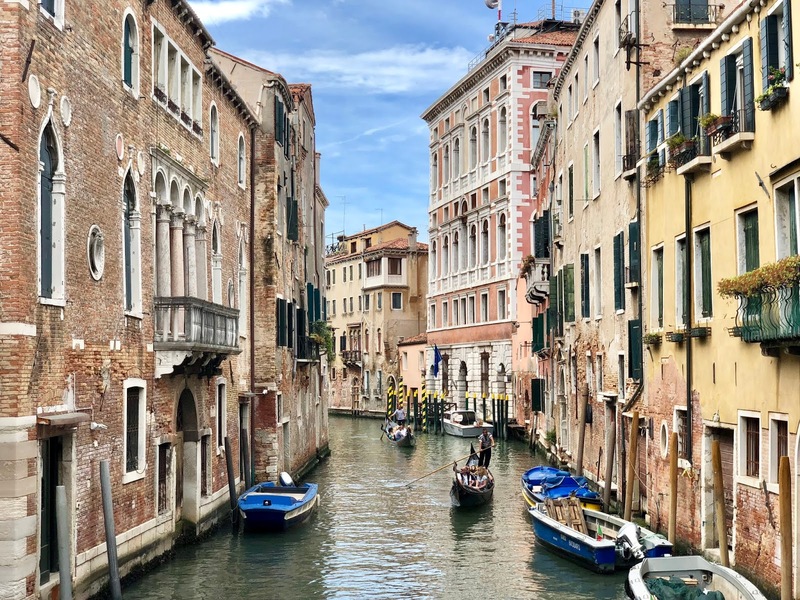 What’s most striking about Venice is the architecture, with beautiful ancient Venetian Gothic palaces and churches dating back to the 6th century. They say the best way to explore Venice is to get lost and with this floating city consists of a group of 117 small islands separated by canals and linked by bridges, it was definitely easy enough to do so. 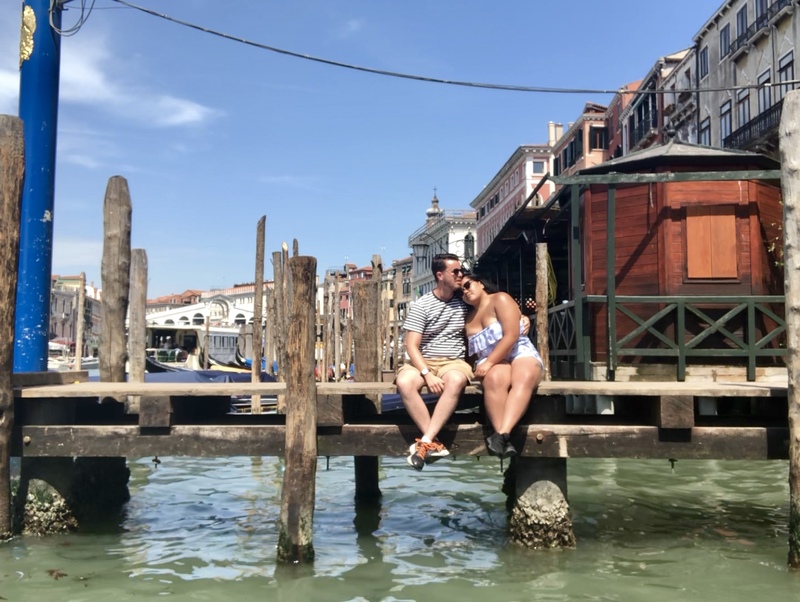 We had only spent 2 days in Venice and we felt like it was enough - we do wish we did more in terms of seeing the sights via the boat taxi, but I'm sure it will not be the last of our Italy travels and we will be back eventually. Have you ever been to Venice? What would you suggest to see? I love Italy so much! I've been to Venice, I spent a couple of days there, it's an amazing place but I agree with you, you don't need to spend a really long time there. I loved just wandering round exploring, the architecture really is stunning, and it's fun choosing the brightest, most creative Venetian masks! Exactly, we felt like 2 days was more than enough but it's not to say we wouldn't return! Beautiful photos! Venice has been on my bucket list for ages, I still haven't managed to go! I'm glad you enjoyed your trip. Venice has been on our bucket list for ages too, so we're so glad that finally visited! Oh no - that's not fun. Yeah, we didn't think it wasn't smelly at all, we would recommend you visit again! Do it! Do it! Book another holiday to Italy, we sure want to! It was truly the perfect day - the sun was so hot! Italy and all of it's cities is where everyone at least once should visit at some point! Oooh would love to visit that lace museum! Yes yes yes! You'd love it!